The WAFA Palestinian News Agency said the navy fired many live rounds at the boats, and sprayed them with water cannons, forcing the fishermen back to shore. Earlier Sunday, the navy fired many live rounds at Palestinian fishing boats in central Gaza, also forcing the fishermen to sail back to shore, in fear of further Israeli violations. 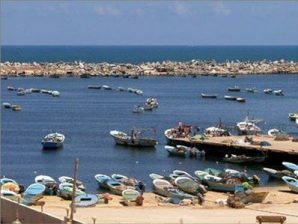 Last month, Israeli unilaterally decreased the fishing zone to the fishermen in Gaza from six to three nautical miles, also until further notice. In late February of this year, the navy killed a Palestinian fisherman, identified as Ismael Saleh Abu Ryala, 18, from Shati’ refugee camp, west of Gaza city.